On Friday 6th January 2012 at 3.10pm a petition and letters to individual governors were handed in to Montgomery School. 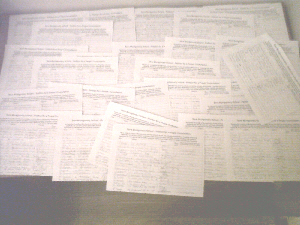 The petition addressed to the head of governors constituted of 704 signatures, a signature for the future of every child at the school was gathered by ‘Parents Of Montgomery’ a community and parental anti academy campaign group setup amongst worried parents and members of the community. 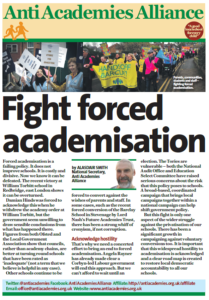 We are demanding that a public meeting is set and a fair consultation is carried out by the school where the FOR and AGAINST arguments are clearly explained to the parents and local community. 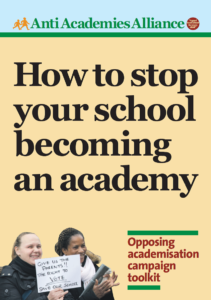 The head teacher and head of governors have failed to deliver this other than a watered down version of an academy and now are actively looking for sponsors. We have also written to our MP Roger Godsiff who has replied to say that he is fully supportive of our anti academy campaign. We praise Roger Godsiff’s for standing with the parents and local community and we are still waiting for the response from our Labour councillors and hope they will too support us. A public meeting is being planned. 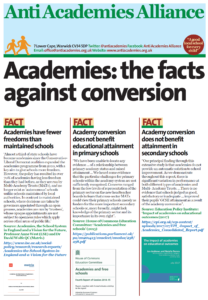 This entry was posted in News and tagged Forced academisation, Governors, Parents, Primary. Bookmark the permalink. 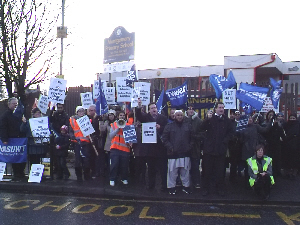 well done to all the parents and teachers and the locall community keep the fighting spirit up and you will acheive your goal and once again lets tell them HANDS OFF MONTGOMERY SCHOOL MANY THANKS. well done parents And teachers of Montgomery school keep the good work up.